An open house at Stadscentrum is set for Wednesday, May 4 in celebration of its one year anniversary. The event will take place from 5 to 7:30 p.m. Located on the corner of Central Avenue and Second Street North in Orange City, Stadscentrum, or “city center,” opened in May of 2015. The building is home to Orange City’s wooden shoe carving equipment and 107-year-old Dutch street organ. Two kiosks in Stadscentrum depict the history of Tulip Festival through photos, narrative and artifacts. Several mounted photos also show the history and vibrancy of Orange City. In its inaugural year, visitors from nearly 20 states and more than 10 countries have toured Stadscentrum, both during Tulip Festival and throughout the year. In addition to visitor tours, a variety of events and activities have taken place at Stadscentrum, including the 2016 Tulip Court election, a trick-or-treat photo booth, Tour of Trees during the holiday season, Sinterklaas Day, and Tulip Festival Dutch costume exchange. The Dutch street organ will be played and wooden shoe carving demonstrations will take place during the open house.  The Orange City Dutch Heritage Boosters will also serve poffertjes at the Little White Store on May 4 from 5:30 to 7:30 p.m. Questions about the Stadscentrum open house can be directed to the Orange City Chamber of Commerce/Tulip Festival office at 712-707-4510.